As I’ve alluded to before, for me, one of the most memorable scenes from the film, “Minority Report”, was when the “precrime” police officers interface with a large, transparent computer screen using arm movements, gestures and voice. This concept has immediate appeal to any RSI sufferers – imagine no longer using a tendon/muscle disabling device such as a mouse in order to interact with a computer. Ever since seeing that in the film, I have had high hopes of reality catching up with science fiction, as often happens. As it turns out, the movie was indeed quite prescient. Already we are seeing the trend towards computer tablets and anyone who has marvelled as they swished their fingers around an iPad screen, for example, will question whether they would ever willingly choose to use a mouse again. Not only that, Apple have now introduced some (by most accounts) rather impressive voice recognition software, namely Siri. Microsoft can’t be left out of the future, and the promise that their Kinect technology holds, if their slick ads are anything to go by, takes it well beyond the realms of Xbox games. Indeed, it has just been announced that Kinect is continuing its move towards Windows compatibility (next year) with the release of a SDK (software development kit) which will allow developers to create applications and games enabling the use of the Kinect add-on in Windows 8. 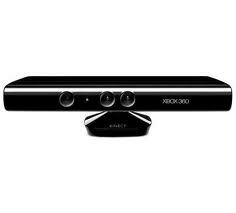 After Kinect for Windows is released in 2012, in the words of Microsoft, “… the potential goes exponential”. So I am feeling encouraged that the days of punishing input devices are numbered and that users will soon be able to interact entirely through natural body movement and voice. I picture the day when we see a mouse on display at the museum and chortle at how primitive a tool it was. The future is arriving and it’s looking bright!